December 2007 of the British Magazine, Classic Cars. The cover feature of this issue is “Everyone Should Own a Jaguar”. 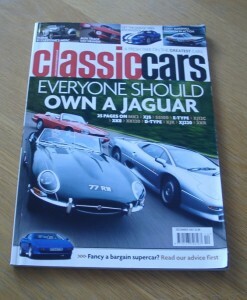 Other articles include items on the Mercedes-Benz 540K, Alfa Track Day Heaven, Gerry Marshall’s Magnum and many more.